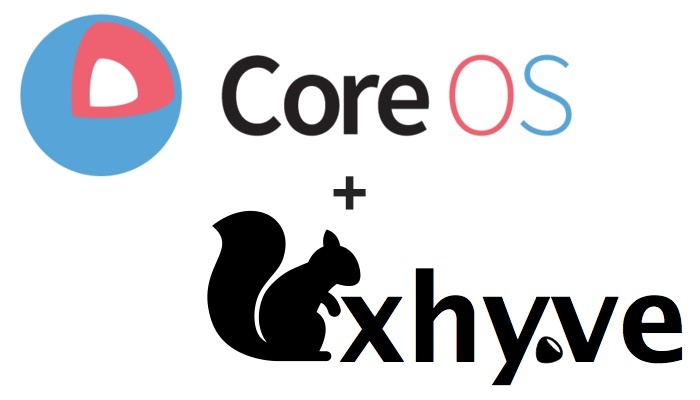 CoreOS Linux、YosemiteのHypervisor.frameworkを利用したハイパーバイザー「xhyve」上で動く「CoreOS + xhyve」を公開。 | AAPL Ch. 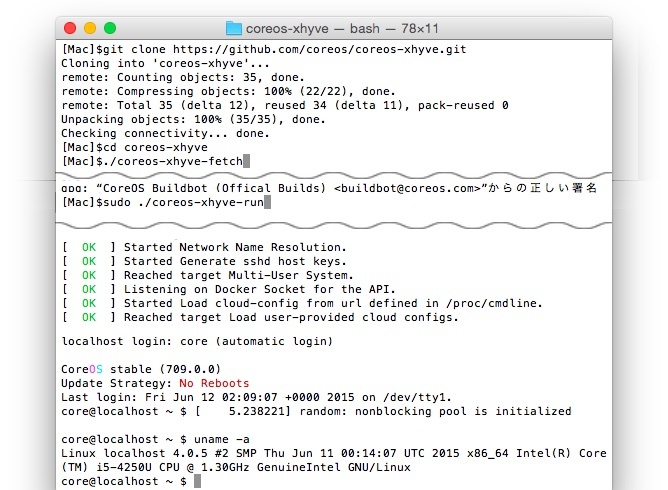 In this post we are going to show how to run CoreOS Linux under xhyve. While this is all very early and potentially buggy tech, we want to give you some tips on how to try CoreOS Linux with xhyve and run Docker or rkt on top. We’ve made it possible to run it on CoreOS Linux so you can get the benefits of a lightweight Linux OS running under a lightweight hypervisor on Macs. It is now possible to launch a full local development or testing environment with just a few shell commands. Type ip a in the console of the virtual machine to get its IP address. Please open issues with ideas for enhancements or use cases. We welcome contributions to the code, so please open a pull request if you have code to share.